A rescued and rehabilitated sea otter has been transferred from the Alaska SeaLife Center to its new permanent home at the Vancouver Aquarium. Her transfer will allow the pup to receive the ongoing care and companionship she needs. Read more. In this video, Bean's Café’s Head Monitor and former client, Grady LeBlanc, shares his perspective on how Bean’s Café has impacted his life, and how it serves Anchorage’s homeless and needy population with hot meals and a safe place to stay. Click for larger view. 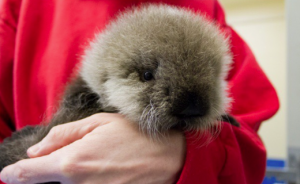 On Wednesday afternoon, multiple callers to the Alaska Sea Life Center Hotline reported a sea otter pup on the road near Mud Bay at the base of the Homer spit. The otter was admitted to the I.Sea.U critical care unit this week. Read more. One of the highlights of the Alaska State Fair is seeing the giant vegetables. It's hard to believe with one's own eyes, how big produce can grow under vigilant care and endless daylight. But after the hotdog stands are packed up, the carnival rides moved on, and the animals sent home, where do all the vegetables go? Read more. The Alaska SeaLife Center is pleased to announce the birth of a male harbor seal pup on June 27. 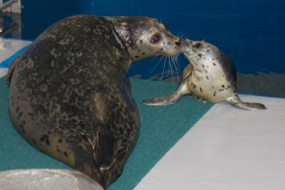 The pup was born to two of the Center’s harbor seals, Atuun and Snapper. Learn more. 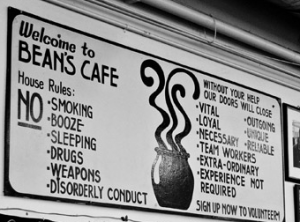 At Bean's Café the project of creating 'oral histories' for our clients - the poorest people in our community - is important because it captures a story of an often forgotten group of people. With better understanding we hope to gain insight that will help us establish programs and services that will ultimately put us out of business. Read more. 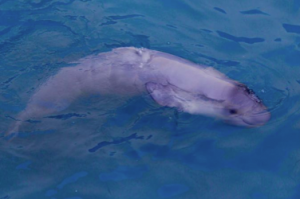 The Alaska SeaLife Center is saddened to announce the loss of the rescued beluga calf found stranded following a storm in South Naknek, Alaska on June 18. Learn more. The Alaska SeaLife Center rescued a stranded male beluga whale calf from Bristol Bay on Monday, June 18. The solitary animal, estimated at two to three days old, was found near the Diamond O Cannery in Naknek. Learn more. There is some serious potato pickin' happening in the Matsu. Check out the photos. 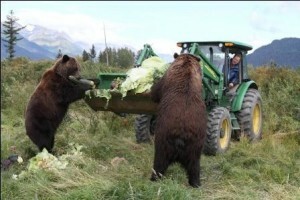 Photos from the recent 2011 Mat-Su Valley Farm Tour, via the Alaska Grown facebook..